1987 New York: Peter Blum Edition. 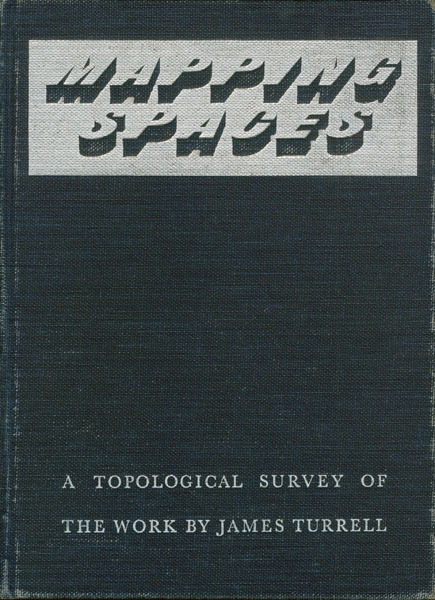 This book contains a complete survey of Turrell’s work with texts by Dr. Craig Adcock, Mario Diacono, Dr. E. C. Krupp and James Turrell. There is an introduction by Dr. Jean-Christophe Ammann. Signed by the artist. Edition of 1200, 148 pages, black & white reproductions, color reproductions, fold-out pages, drawings of the Roden Crater project on translucent drafting paper, separate map inserted in the back cover, printed in letterpress, hardbound.